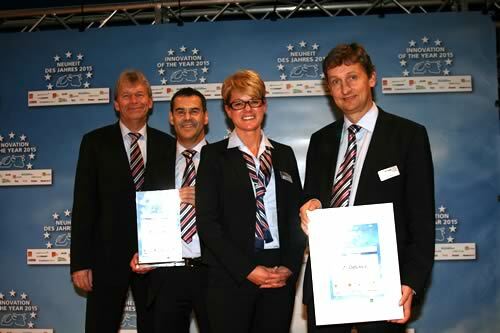 The patent pending DeLaval Clover™ liner, with its breakthrough design, wins innovation of the year award 2015, in the category milking technology at the Deutscher Landwirtschaftsverlag (DLV) ceremony at EuroTier 2014. One of the main criteria for winning the award was the fact that it is a true example of form follows function. Its breakthrough design ensures the liner stays in the proper milking position and provides excellent massage, offering cows maximum comfort without compromising on milking performance. 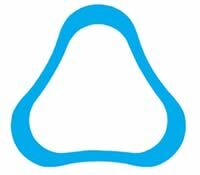 As a result teat health improves and mastitis cases are reduced. One of the highlights at EuroTier, the world’s leading trade fair for animal production is the DLV innovation of the year award ceremony. The prize is awarded in ten categories, ranging from feeding technology, animal welfare, software and milking technology. The DeLaval Clover™ liner 20M suitable for herds with average teats, DeLaval Clover™ liner 20M-EX suitable for herds with average teats but wide udders and DeLaval Clover™ liner 20S-ST designed for herds with average towards short teats. A cross-section of the DeLaval Clover™ liner reveals its thin, concave side walls and smooth, rounded corners which help deliver gentle, yet productive milking. The unique shape of the DeLaval Clover™ liner provides a firm, yet gentle grip to the teat. Combining the DeLaval Clover™ liner with the DeLaval Harmony™ cluster is the perfect match to ensure superior milking performance and udder health.